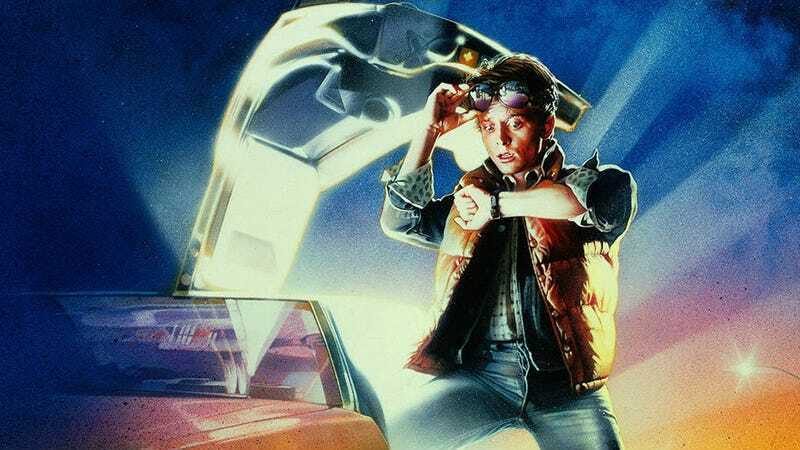 When you think of Back to the Future, odds are Drew Struzan’s instantly recognizable poster is part of the memory. It’s a striking, beautiful image that you’ve seen a million times and have always been able to purchase. But never like this. The Hero Complex Gallery has teamed up with Struzan to release the poster, for the first time ever, as a limited edition screen print. They used scans of the original painting to somehow recreate the intricate work of Struzan’s brush through a whole new process. The results breathe handcrafted vibrancy into an already iconic image, or so the press release says. Seeing these prints in person is like seeing the artwork in a whole new light...the vibrancy of the color palette plays at the artwork’s original brightness in these newly screen printed posters, making them come alive on the page. I tend to believe that, though. As a proud owner of a screenprinted Big Trouble in Little China Struzan, it really does give the image a texture and quality we aren’t used to. Back to the Future is available now in two versions, the one-sheet (with credits) and art print (no credits). Each is a timed edition, meaning they’ll only print as many as are sold. And then that’s it. The sale goes through 11:59 pm PST January 15. Here’s the one sheet version. Here’s the art print version. Now, to create that image through screenprinting isn’t a simple process. So both posters are expensive: $135 each. Plus, if you want Struzan to sign it, it’s an extra $50. But if you’re a Back to the Future fan, there probably will never be as perfect a version of this poster ever made again. Read more and snag one at this link. Struzan seems happy with the results.